This entry is part 2 of 16 in the series Belgium in a Glass. 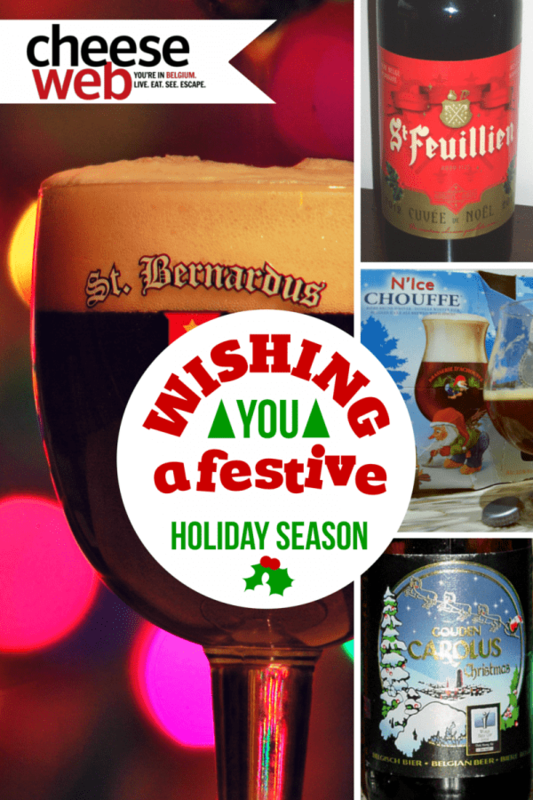 Today, Andrew gets in the holiday ‘spirit’ by discussing Belgian Christmas and Winter beer. The winter holidays are an exciting time for me. First, the sausage vendors return to the Christmas markets of Belgium. And second, it’s time for Christmas beer! Belgian beer has many styles, as I’ve highlighted in my Belgian beer series. Most are brewed all year long, but one style is brewed for consumption during the winter. Known generally as Christmas or Winter beer, these brews tend to be based on a traditional style, for example, a quadruple, with added liquorice and spices. Winter beer tends to be stronger than other beer from the same brewer and is typically malty with hints of spice appearing in the aroma and flavour. They are fantastic on a cold, damp winter evening! From what I’ve read, most Winter beer is brewed in August or September then matured for a couple of months. The maturation includes re-fermentation in the bottle, but more importantly, the extra time lets all those spices work their ‘magic.’ This is what makes the beer so special. Gouden Carolus Noël (10.5%)– I haven’t found this one yet this year, but it is one of my favourites. Malty caramel with a touch of liquorice and vanilla, its high alcohol content warms you from head to toe. 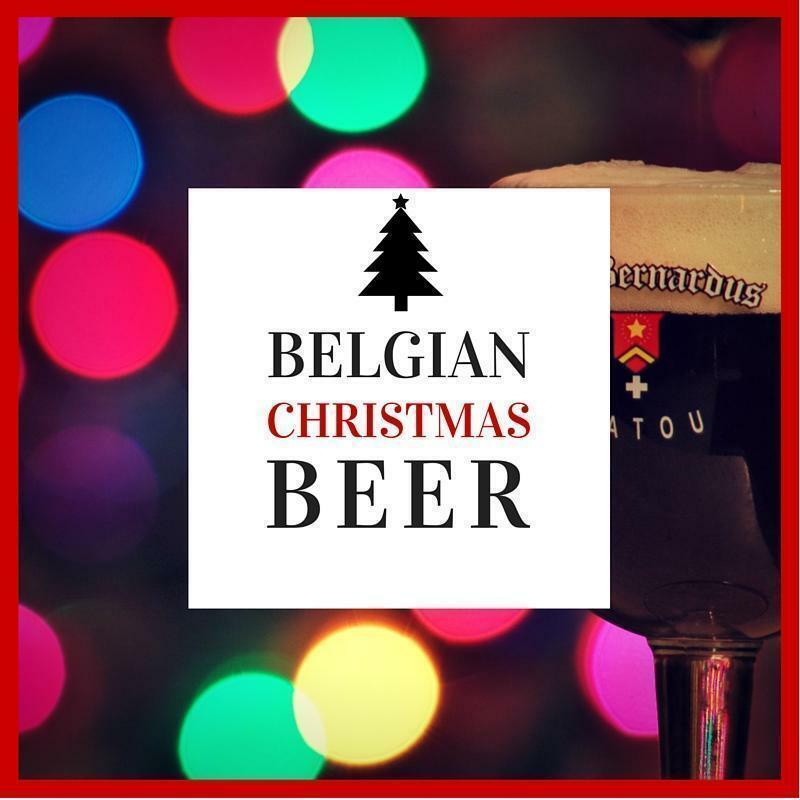 St. Bernardus Christmas Ale (10%) – Not as bold as the Gouden Carolus, this beer is more complex. It has hints of dark fruit, prune, and cherries. The malty character of the beer carries through to the end, leaving a sweetness in the finish. N’ Ice Chouffe (10%) – I love beer from Brasserie d’Achouffe and their winter beer is no exception. A malty sweet aroma leads to flavours of orange, cloves, and allspice. It is a complex but well-balanced beer. St-Feuillien Cuvée de Noël (9%) – Our friends JP and Adriana introduced me to this beer last year. It uses roasted, caramelised malt to create a wonderfully smooth, round, and malty beer. Kasteel Winter (11%) – this looks like a delicious strong dark ale, almost a chocolate stout with hints of coffee and caramel. Fantome de Noel (10%) – Another that looks tasty, but isn’t a heavy, malty beer. This seems to be a version of a Saison style beer. For some other suggestions outside of Belgium (mainly the US, but there are a few outside the US), the beer in Saveur’s Happy Brew Year article and this list of 15 Best Winter Beers are a great start. If you really want to experience Christmas beer, visit the Christmas Beer Festival on December 20th and 21st in Essen. There will be around 200 (!) different Christmas beer available to taste. Or if you’re looking for inspiration, just check out their beer list. Have you found a Winter beer I should try? I’d love to know about it and so would our other readers. Please share your recommendations in the comments below, and I’ll let you know when I’ve tried it!